Infantile esotropia does not prevent sixth nerve palsies. 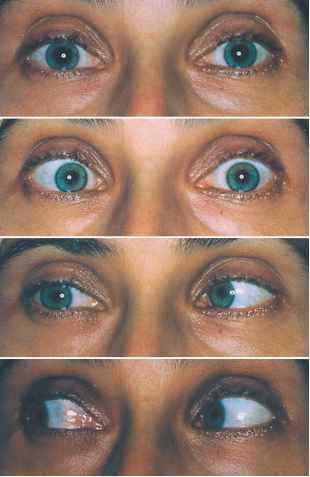 A large esophoria will decompensate into a manifest esotropia when there is a loss of vision in one eye. This sort of presentation will be associated with an afferent pupillary defect as a part of a retinal and/or optic nerve disorder, but can also be the result of a dense monocular clouding of the optic media. It will simulate an abduction deficit in the eye with visual loss. 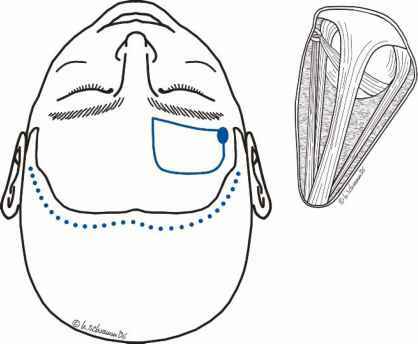 The undamaged eye will take up primary fixation, and pursuit of movement toward the affected side will commonly induce a head turn at the far end of the movement, as the patient compensates for a masking of the target by the bridge of the nose.